There were 716 press releases posted in the last 24 hours and 153,521 in the last 365 days. 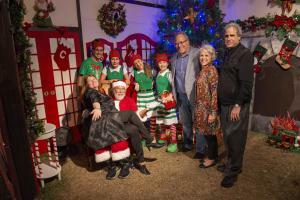 CLEARWATER, FL, US, December 6, 2018 /EINPresswire.com/ -- Raising funds for literacy was on the agenda for Winter Wonderland’s first “Holiday Soiree” on Tuesday the 4th of December. The event was a fundraiser for two charities that support literacy – Clearwater’s Community Learning Center and St. Petersburg’s Bees Learning Inc. Winter Wonderland is produced by the Clearwater Community Volunteers and sponsored by the Church of Scientology Flag Service Organization. Winter Wonderland is located on the corner of North Fort Harrison Ave. and Drew Street in downtown Clearwater.